There’s something so satisfying about the pop of fig seeds between the teeth. While the fruit cooked into cookies has become a household staple, the fig in its whole form still seems slightly exotic, even though it was one of the first plants to be cultivated by humans. Eating the whole fruit conjures images of the Roman aristocracy, being fanned as they reclined, popping ripe grapes and figs dripping in honey into their mouths. When one adds the sensory satisfaction with the images of the toga-wearing rich, it’s no wonder that figs seem like a very decadent treat. While it’s all kinds of amazing in the mouth, making a sweet and savory fig finish is easy peasy, and is a lovely end to a dinner of wine, cheese, crackers, and tapenade. Cut the stem off of each fig and slice each fig in half. Grab a teaspoon or two of blue cheese, depending on the size of the fig, and put on the inside of one half of a cut fig. 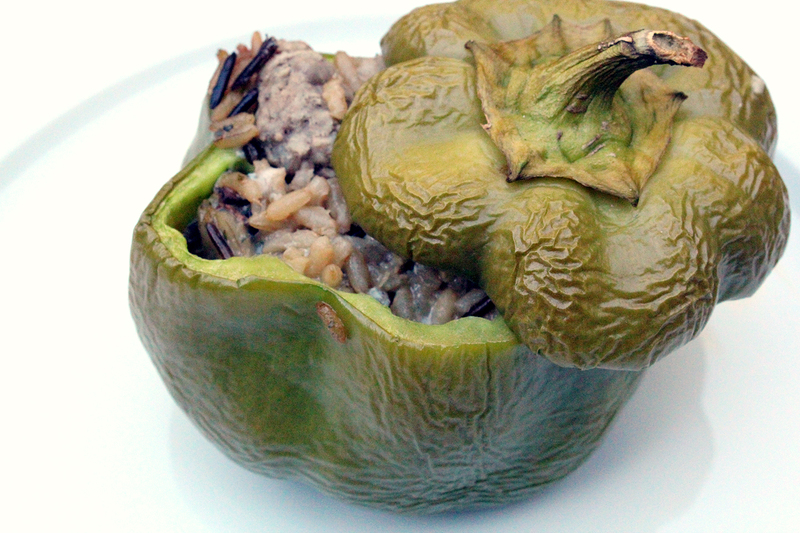 Take the other half and lightly smoosh the cheese inside. 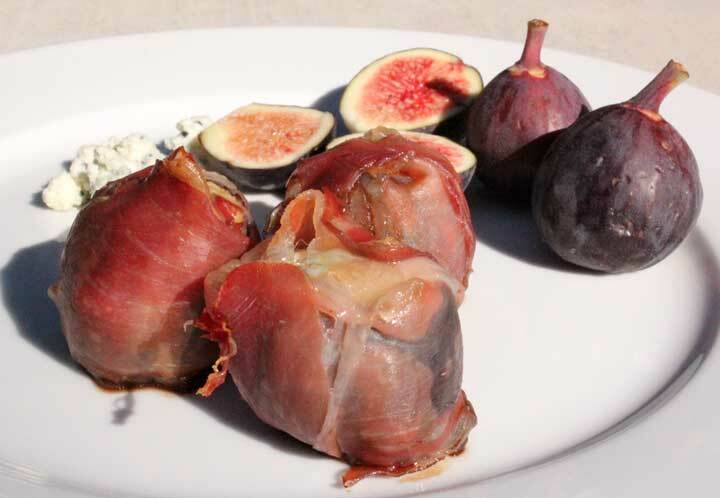 While holding the fig together, wrap in a piece of prosciutto. Place on a cookie sheet lined in parchment paper and repeat the stuffing/wrapping steps until all figs are on the sheet. Drizzle the figs with the balsamic vinegar and then follow with a drizzle of honey. Place in the oven and cook 5-8 minutes, until prosciutto is slightly browned. 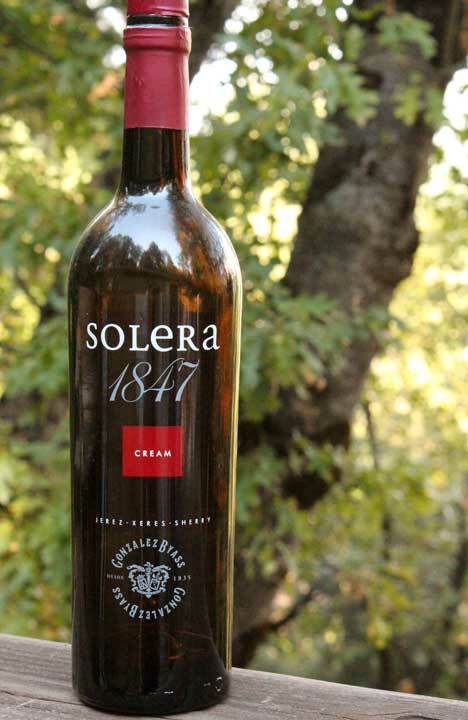 The only pairing that I found to work with the multiple levels of flavor was a sherry, specifically a beautiful cream sherry, Gonzalez Byass “Solera 1847.” We have really enjoyed this bottle, and while it may not be easy to see in the photo, there’s just enough left to pair with the figs. I guess it’s time to stop by the wine department. I have a killer sweet tooth. Honestly. It’s killer on my waistline. But I was at a wine event a couple of years ago that saved my sweets-lovin’ life. It was one of those five course meals where every course had a different wine. 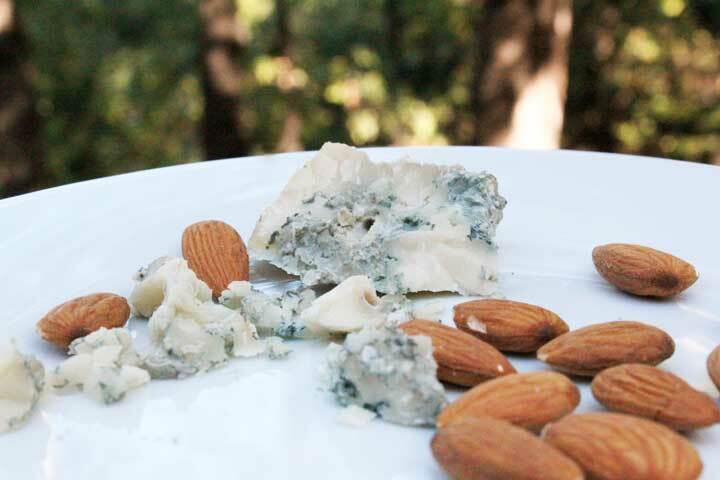 For dessert, we were served blue cheese, almonds, and tawny port. The sweet course would never be the same for me again. Now that I’ve eschewed pastries for the savory-salty-sweet that a handful of raw almonds and some perfect cheese provide (last night, it was the amazing Boonter’s Blue from Penny Royal Farmstead), the choice of port is important. For the final course of the day to be fully satisfying, you need a dessert wine that will do justice to the craftsmanship of the marbled, aged creation of sheep and goat’s milk. The Graziano Syrah Tawny Port was an exquisite option. The complex, nectarous flavors made me yearn for colder nights spent snuggling by the fire. It was a toothsome treat, and a good way to punctuate a day. Honestly, who needs cake when there are endings such as these?